Seeing this so long after it dominated the cultural conversation, it's striking the extent to which it's understated and tasteful. The fact that it was accused of promoting some insidious "gay agenda" shows how hilariously and sadly quaint the treatment of homosexuality was not even 15 years ago. Ledger is electrifyingly good. Wikipedia has devoted a whole section on the characters sexuality. I think this misses the point. 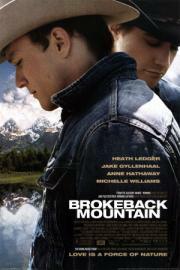 This is less a "gay cowboy film" and more of a moving human drama. Sure, it is an important piece of Queer Cinema, but let's not reduce it being a film solely on sexuality.